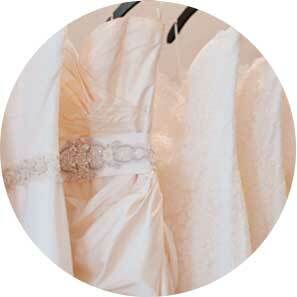 Because finding the perfect gown... is a special occasion.CLOSED SEPT 5TH FOR LABOR DAY! Choose what may be your most important fashion ensemble from our award-winning boutique. Love was voted Best Bridal Shop in 2009, 2010, 2011, 2012 and 2013 by Jacksonville Brides, and won 'the Best of the Best with the Knot Brides' in 2010, 2011 and 2013. Once you've found the perfect gown it’s time to select a complimentary dress for your bridesmaids. 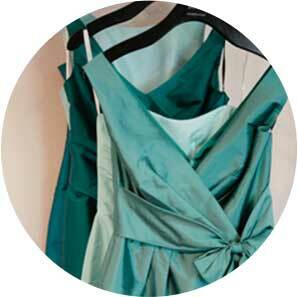 We've got a nice selection of moderately priced and stylish bridesmaid dresses from a few select designers. Once you've said 'yes to the dress’ it’s time for some fabulous finishing touches.Make your personal style statement with the perfect accessories. 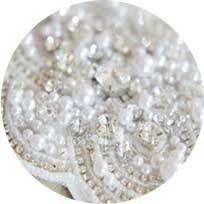 Our designers use fine crystals, pearls, re-embroidered lace and netting in their creations.